It’s only been a little over a month since we reviewed a new app by Sago Sago, but the developer has been hard at work. Today, they are releasing Sago Mini Space Explorer, a fun toy app that yep, gets kids exploring outer space. Sago Sago has several characters that appear in their apps: Jinja the cat, Harvey the dog, Fins the fish, and Robin the bird. In Sago Mini Space Explorer, the spotlight goes to Harvey. To start exploring, kids first tap on Harvey’s doghouse to invite him out. They then lead him into space using their fingers, or tap anywhere on the screen to make him fly there. Overall, there are more than 30 fun animations to discover. Some of them are marked by yellow dots, while others are set off by flying near them. The universe loops back on itself, so kids can fly Harvey in any direction and never run into walls. 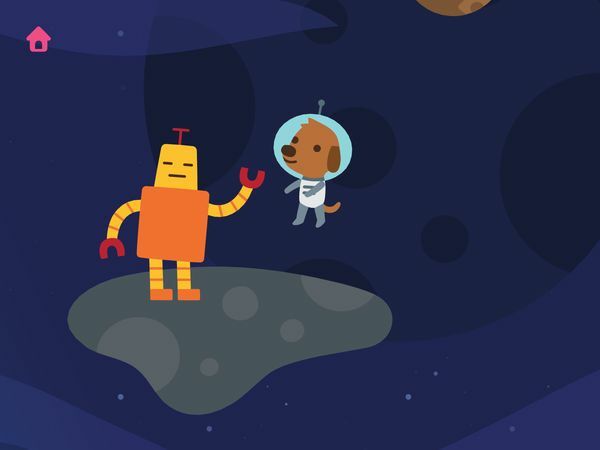 Sago Mini Space Explorer is a fun, open-ended app that puts kids in control. It doesn’t have a timer or goals. Kids get to decide which way Harvey should go and which surprises to uncover. As kids play, it is recommended that parents stimulate their imagination with questions such as what’s it like to live in space, and what objects they can find there. The app feature a big cast of characters, and kids are encouraged to invent stories about them. For the parents, the developer has included a special letter that provide details about the app and how to use it with your kids. It is protected from kids, and the link to it can be turned off completely by going to your device’s Settings > Sago Mini Space Explorer. You will also find the option to turn off the farting planet if it bothers you. 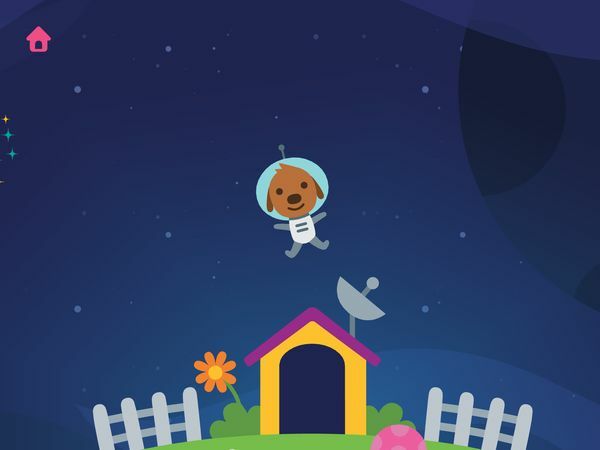 Like all Sago Sago apps, Sago Mini Space Explorer is text-free. It is suitable for non-readers and is accessible to non-English speakers. I would recommend the app for kids ages 2–5. The app does not contain ads or in-app purchases. Sago Sago does it again! Like their two previous exploration apps Forest Flyer and Ocean Swimmer, Space Explorer is a beautifully made app filled with wonderful surprises. I like how many of the animations play slightly differently the second time, giving kids the incentive to come back again and again. The app doesn’t have a timer, so kids can take their time exploring. The app also has plenty of humor as ever, although I must say the developer has outdone themselves by adding in the farting planet. This one will be a hit with kids, I’m sure, but I’m also thankful that you can turn it off anytime. Finally, the app makes for a helpful tool to spark discussions with your kids about outer space. Using the animations as examples, you can introduce kids to stars, planets, satellites, asteroids, black holes, and many other space objects. The app doesn’t provide explicit explanations about them, but it’s a nice start to get kids excited about space. A wonderful exploration app for kids ages 2+, Sago Mini Space Explorer delights with fun animations at every turn. Together with Harvey the space-dog, kids can nurse a sneezing planet, have a picnic on an asteroid, or zip around in a spaceship. The app is an open-ended experience, and kids are free to invent their own little stories about the big cast of characters that live in the app’s endless universe. It’s great fun, and I can’t recommend it enough.